There was a time when only the wealthiest people hired others to sew garments for their family and everyone else needed to do it for themselves. With the industrial age it became for less labor intensive to sew garments, yet it was still less costly to sew them yourself than to buy the finished garments. Eventually, the economies of scale won out and now it can cost more to buy the materials to sew items yourself than it does to buy the finished product. This doesn’t stop the sewing enthusiasts out there from their loved hobby and creating both garments and other items. If you enjoy the uniqueness and gratification of sewing for yourself, you’ll find the following list of websites informative and enjoyable. They are listed in order of their Alexa traffic count rating. The BurdaStyle site includes a pattern store, how-to section, projects, blogs, gallery, shop and forum perfect for all sewing enthusiasts from beginners to advanced. 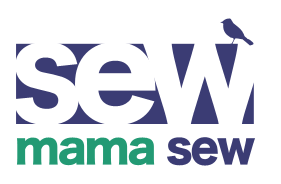 They currently have over 1 million members thus indicating its popularity among those that enjoy sewing. The main page offers a pattern of the week, newsletter sign up and links to popular patterns, blogs and projects. A great source for ideas and inspiration, as well as the ability to connect with others that share your passion for sewing. One way to make sewing more affordable is to take advantage of free patterns. This site will help with that as they have tons of free patterns arranged in categories that make it easy to find what you are looking for. There are patterns for accessories, aprons, bags and purses, bottoms, holiday projects, dresses, household items, maternity clothing and even no sew projects – plus plenty more! There are also a number of tutorials and articles. Another nice feature is a selection of free eBooks. If you register for the site, you can save your favorites, add personal notes and quickly reference your patterns. You can also sign up for their newsletter. This site offers over 7,300 needlework ideas, crafts and patterns. They offer blogs in a variety of topics including bath & body, cross-stitch, quilting, sewing, needlework, jewelry making, felting, crochet, knitting and much more. This should not only keep your sewing passion fed but also give you some other outlets for your crafting addiction. You’ll find blogs as well as video tutorials in a multitude of topics. This site offers a whopping number of sewing tutorials – over 400 of them! The learn section includes sewing tutorials, sewing videos, small business ideas and sewing with kids. There is also the ability to get involved and connect with others through their ‘block of the month,’ sew-alongs and community sewing circle on Facebook. The site is easy to navigate to find instruction and patterns for a variety of projects. What this site lacks in frills, it more than makes up in projects, tips and resources. 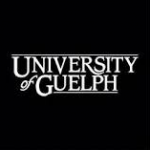 You can also follow them via Pinterest or sign up for their newsletter. The site is devoted to projects you can do for your home such as bath linens, bed linens, curtains & panels, fabric art & accents, furniture covers, kitchen linens, pillows & cushions, storage solutions and table linens. The resource section includes tips on fabric, color and texture as well as sewing tips and tricks. The site also includes a glossary. This is a very thorough site for everything that uses… yep, you guessed it, Threads! Even if you already subscribe to the magazine, you’ll still find plenty of this website to keep you going back to it over and over again. 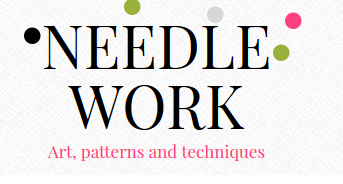 The site includes how-to, couture, patterns, videos, fundamentals, gallery, fashion sewing, teach yourself to sew section and also a forum for connecting with other sewing enthusiasts. Be sure to check out “Threads Daily” for news and giveaways! This is a simply adorable site full of craft ideas and thousands of free and affordable patterns and instructions. It is not limited to just sewing – you’ll find other crafts and hobbies also including crochet, quilting and jewelry. You can sign up for their newsletter, join their free pattern club or follow them on Pinterest and Facebook. You’ll enjoy the quick links and blogs as well. 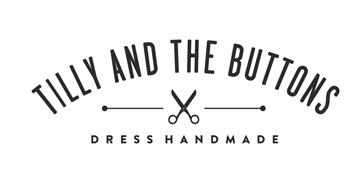 This cute name sounds rather like a music band, but their tagline, “Dress Handmade” lets you know right away that they are all about making clothing for yourself. Of course, you might just find an outfit that would be perfect for a music band! The site includes a Learn to Sew section that includes a tutorial for how to set up your sewing machine and how to thread it, then goes on to how to stitch and much more. Tilly’s modern, user-friendly guides will have you sewing up a storm in no time. Sewing.org offers free sewing & craft projects, learn to sew, guidelines, articles, charitable projects, bridal, kids and much more. The projects are well categorized so you can find exactly what you are looking for, such as baby & toddler, fashion sewing, home décor, jewelry, kids’ projects, men’s sewing, pillows, teens, holidays and more. You can also use the site to locate a sewing teacher. You can also sign up for their email newsletter. Freeneedle, established in 2007, is a website dedicated to bringing you the best free sewing patterns and tutorials on the web. It is well organized with the following categories: clothes & accessories, decorative techniques, babies & children, sewing techniques, home, occasions, theme boards and other. Each main category is broken down into subcategories once you select the main topic. You can also search by keyword. With each offering you have the following options: email to a friend, mark as a loved project, save personal notes and comment on the project. All you need to do is log into the site with Facebook to use the features. Sewing can be a great way to express yourself and make items that you just wouldn’t be able to locate anywhere. There is no end to the number of things you can create with just a few materials. Even if you’ve never sewn anything before in your life, these websites can get you started.